Heineken® today opened up The World of Heineken, a must-see experience at the top of the BITEXCO Financial Tower, that allows loyal drinkers and fans the chance to taste perfection and take an incredible journey into the world of heritage and craftsmanship of the world’s most international premium beer brand. Since its origins in 1873 as a small Amsterdam-based brewery, Heineken® has grown into the world’s most international premium lager. The relentless dedication and passion for quality results in 25 million Heineken’s being enjoyed each day across 192 countries all over the world. Heineken’s original brewery in Amsterdam has been transformed into a sensational interactive tour through the dynamic world of Heineken. It offers four floors of multimedia exhibits, historical brewing artefacts and a tasting bar. It’s among Amsterdam’s most visited attractions, drawing more than one million visitors annually. 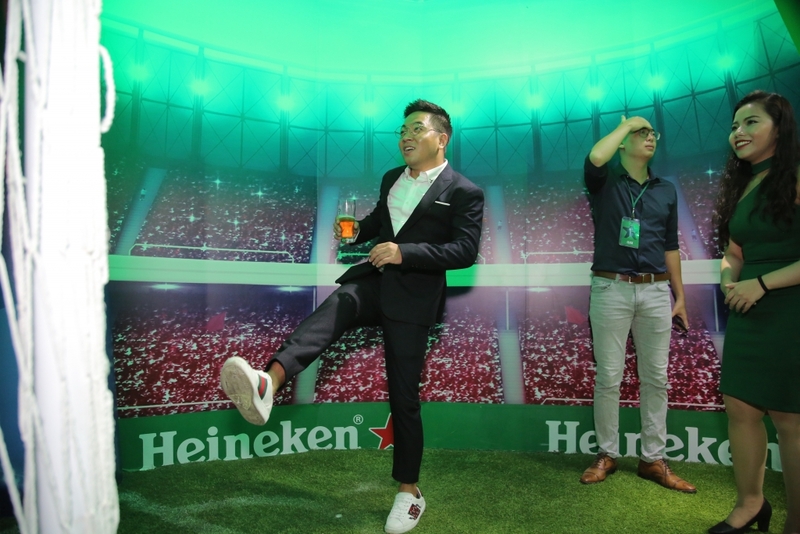 Now, for the first time ever in Vietnam, Heineken lovers do not need to go to Amsterdam to get the full Heineken experience, they can experience it right here in Ho Chi Minh City at The World of Heineken. At the top three floors (58th-59th-60th floor) of the BITEXCO Financial Tower, one of the most iconic buildings in Ho Chi Minh City, Heineken offers fans an interactive journey back in time with incredible stories about Heineken’s major milestones over the century. And for the first time ever, thanks to virtual reality technology, Vietnamese beer lovers will be part of the brewing process inside a horizontal tank in which Heineken creates its great tasting beer with perfect balance over 28 days. In addition to maintaining the same perfect taste since 1873 for millions of fans across 192 countries, Heineken has successfully built its global presence thanks to creative TV commercials and innovative marketing. 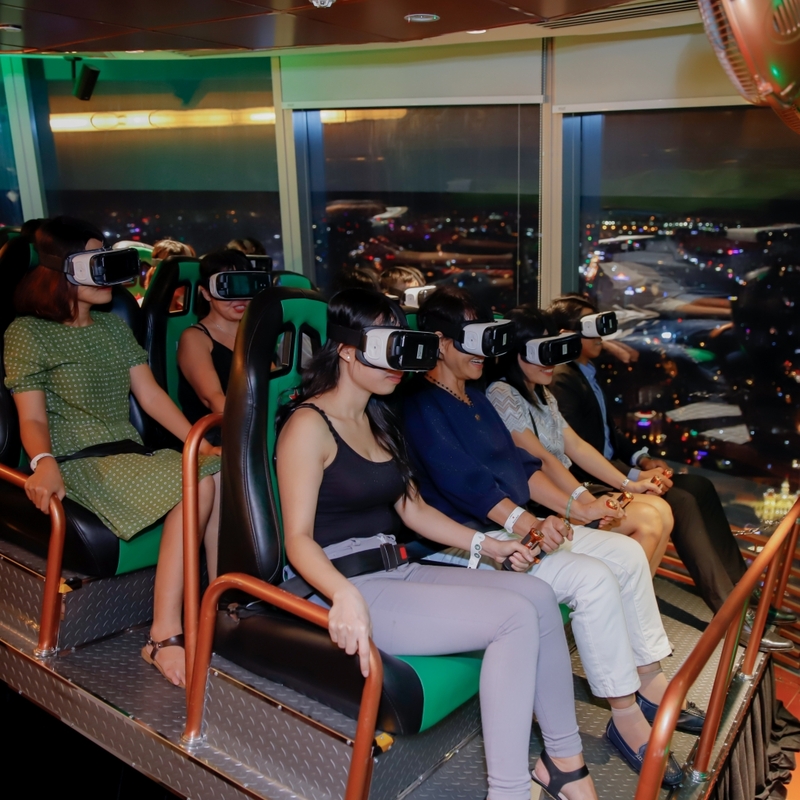 At The World of Heineken, fans will be able to immerse themselves in Heineken’s creative TV commercials that have contributed to Heineken’s success. 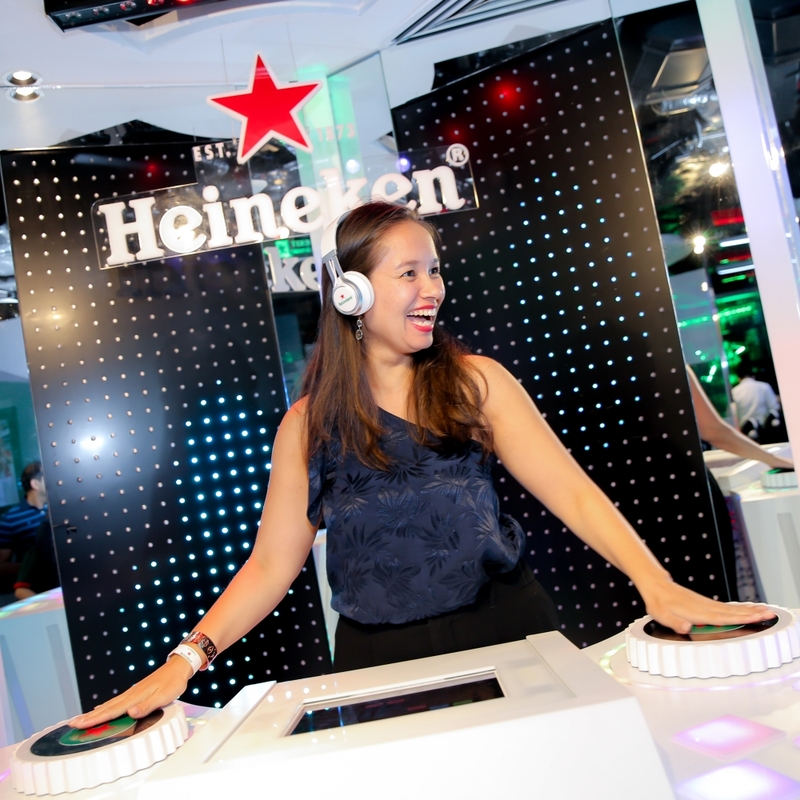 There are also multiple interactive experiences, using cutting edge technology, to allow visitors to literally take part in Heineken’s world-class experiences, from sports, unique music experiences to pouring your own perfect Heineken beer. 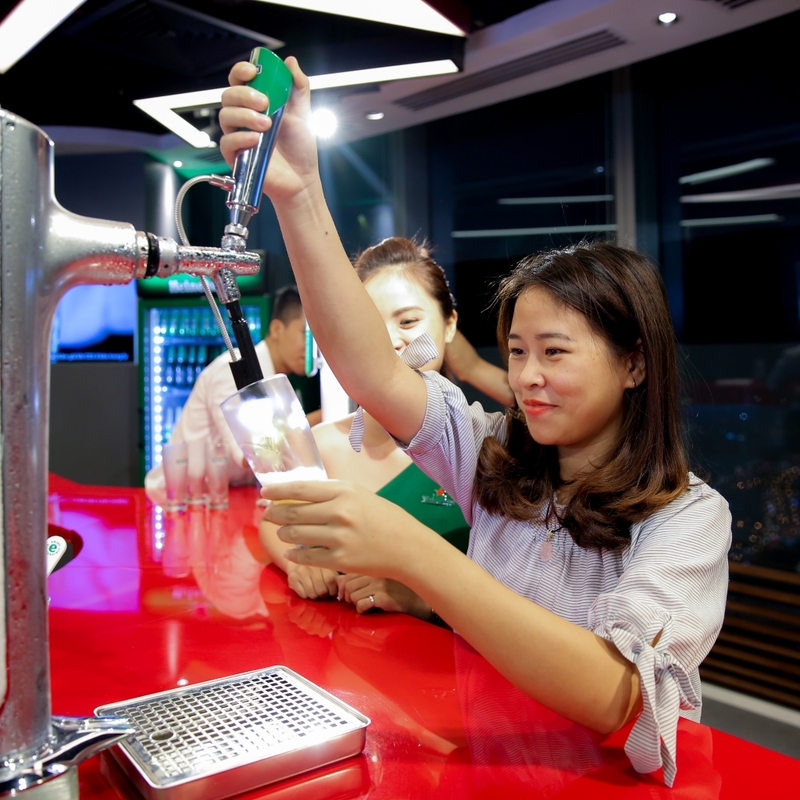 At the end of the journey into The World of Heineken, visitors can enjoy a perfect tasting Heineken beer at the highest and coolest bar in Vietnam with stunning views of the city. The World of Heineken is an icon of perfection and shows Heineken’s unwavering commitment to quality. It will become a must-see destination with a never-before journey into the heritage and world of Heineken. Heineken® is always committed to bringing world-class experiences to Vietnamese consumers and now continues its mission through The World of Heineken. Get ready to kick-start your own journey at The World of Heineken! Tickets cost VND250,000, which includes a visit to The World of Heineken (58th, 59th and 60th floor) as well as two glasses of Heineken beer, 1 mineral water and a memorable gift. Enjoy a discounted rate for the first 2 months of launching (VND235,000/ person from 3 November till 31 December 2017). The World of Heineken is open to the public from 3 November 2017 (5pm-10pm). Normal public hours: 3pm-10pm.